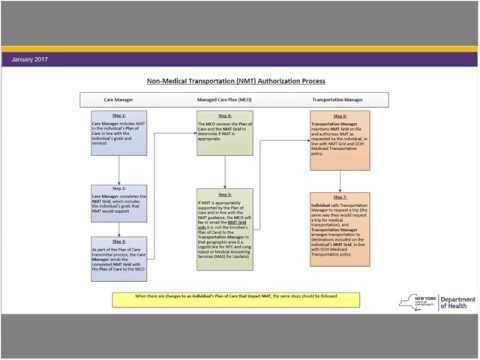 MCTAC hosted a one-hour state-led webinar regarding Non-Medical Transportation. The DOH Transportation Unit presented on roles and process and reviewed allowable vs non-allowable trips. This webinar included time for discussion/Q&A. This webinar was intended for Health Home Care Managers, Health Plans, Transportation Managers and other stakeholders interested in adult non-medical transportation. Presentation slides and a Q&A document are available for download below.